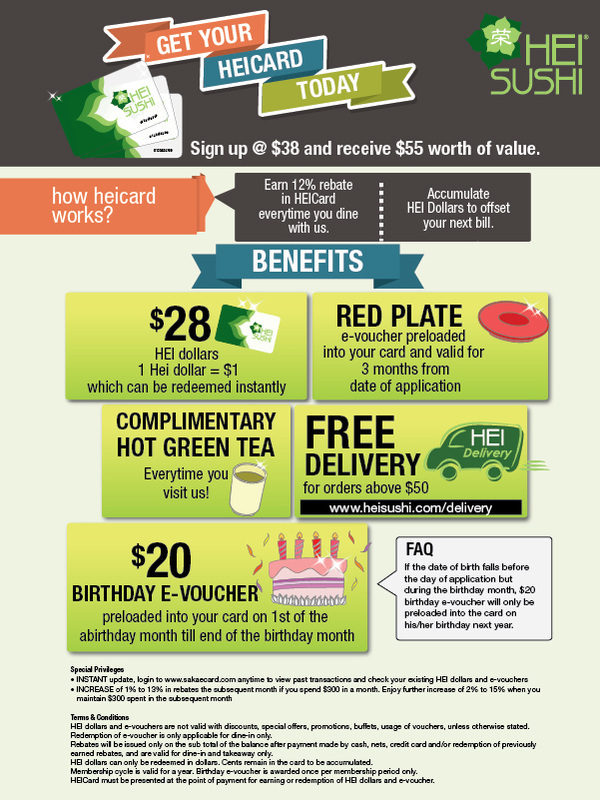 New sign up membership costs S$38 and you will receive $55 worth of value. Sign up as our member today at all Hei Sushi outlets and receive your card instantly. Renewal membership costs S$20 and you will receive $42 worth of value. Renewal processing can be done at all Hei Sushi outlets. Hei Sushi takes your privacy seriously and is committed to protect the privacy of every patron’s personal data, in compliance with the requirements of the Personal Data Protection Act 2012.